was born to Major Charles Frost and Mary Bolles Frost in Kittery, Maine, circa 1681-1682. She died May 21, 1696 and according to her gravestone, she was 14 years of age. She is buried along side her older sister, Sarah, who died a year earlier in 1695. Sarah Frost was born circa 1666. She married first, John Shipway. They had a daughter named Mary. Sarah married William Redford after John Shipway died. She died shortly after their marriage. Major Charles Frost was born July 30, 1631 in Tiverton, Devonshire, England. He died July 4, 1697, the result of being ambushed and killed by Indians. Mary Bolles was born August 7, 1641 in Wells, Maine. 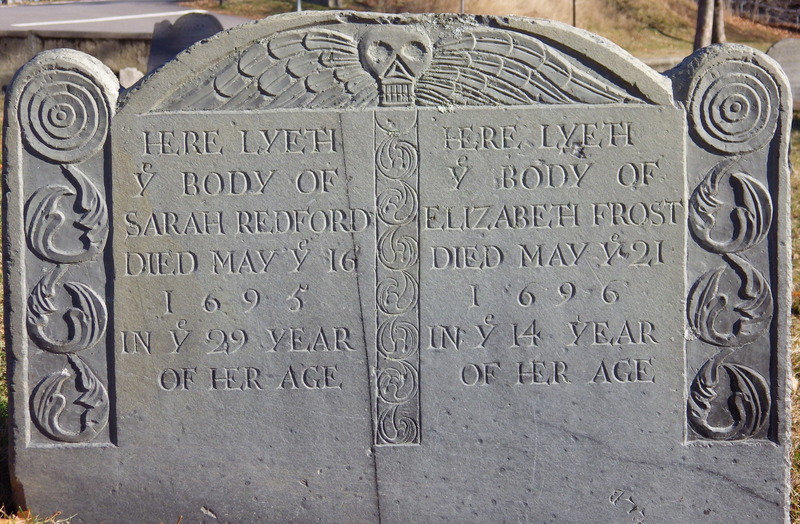 She died November 11, 1704 in Kittery, Maine. 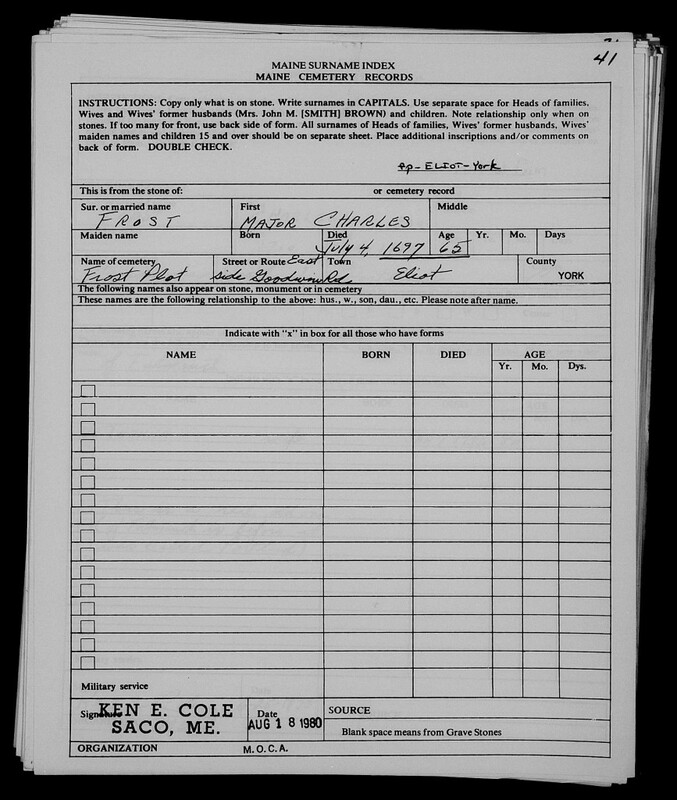 There is quite a bit of historical documentation written about Major Charles Frost and most of his family. Unfortunately, I have found nary a word about his daughter, Elizabeth, nor why she died.